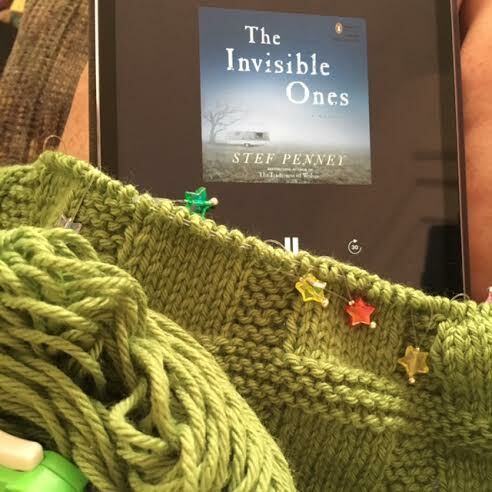 Making great progress knitting the Sunny Baby Blanket and listening to The Invisible Ones by Stef Penney. The blanket is my fifth--the pattern is so classic and easy (great for mindless summer knitting) and will be a gift for a new great niece or nephew due in January 2017. The book is narrated by Dan Stevens, of Downton Abbey fame! Ditto for knitting--that takes hours a day too!